Abby Furlowe has plans. Big plans. She’s hot, she’s popular, she’s a cheerleader and she’s going to break out of her small Texas town and make it big. Fame and fortune, adoration and accolades. It’ll all be hers. But then she notices some spots on her skin. She writes them off as a rash, but things only get worse. She’s tired all the time, her hands and feet are numb and her face starts to look like day-old pizza. By the time her seventeenth birthday rolls around, she’s tried every cream and medication the doctors have thrown at her, but nothing works. When she falls doing a routine cheerleading stunt and slips into a coma, her mystery illness goes into overdrive and finally gets diagnosed: Hansen’s Disease, aka leprosy. Abby is sent to a facility to recover and deal with this new reality. Her many misdiagnoses mean that some permanent damage has been done, and all of her plans suddenly come tumbling down. If she can’t even wear high heels anymore, what is the point of living? Cheerleading is out the window, and she might not even make it to prom. PROM! But it’s during this recovery that Abby has to learn to live with something even more difficult than Hansen’s Disease. She’s becoming aware of who she really was before and what her behavior was doing to others; now she’s on the other side of the fence looking in, and she doesn’t like what she sees. . . I love when books take cliches and topes and approach them in a completely new way, making them something original again. 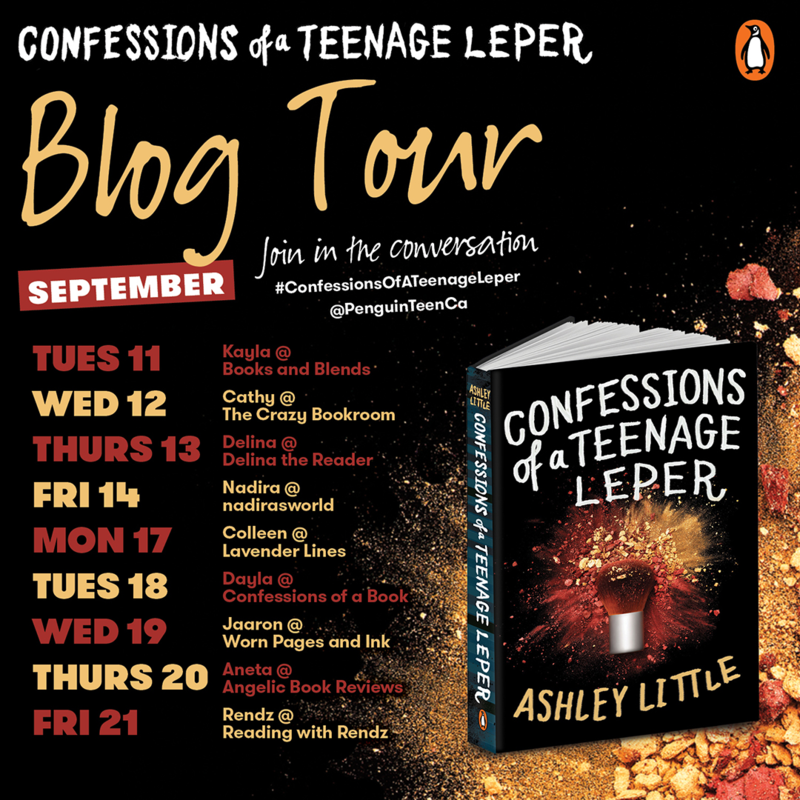 “Mean girl has something happen that takes her down a notch and she redeems herself” has been done quite a lot in YA, but man, Confessions of a Teenage Leper, adds such a unique twist on it. I had a feeling this was going to be a very different book, and it was. I loved finding out more about Hansen’s Disease and its history and I loved the coming of age aspect to the story, but what I absolutely adored was watching Abby’s relationships develop and deepen, especially the one she had with her brother. This was a very addictive read and once I got into it, it was nearly impossible to put down. I had a chance to ask Ashely a couple of questions and I am so glad that I did! What made you decide to write about Hansen’s disease? Kind of a long story, but while I was doing my undergraduate degree in creative writing, a prof assigned our class a historical fiction piece. So we had to find something in British Columbia’s history that interested us and then research it using three different sources (microfiche, interviews, encyclopedias, maps, etc. i.e. not the Internet) and then write a short story about it. I found out about a place called D’Arcy Island; a leper colony on a tiny island off the southern tip of Vancouver Island, not far from where I was going to university, in Victoria; it ran from 1891-1924. I did my research and wrote a short story from the perspectives of four men and one woman that had lived there. The idea had always stayed with me because it was so haunting, and the people sent there lived in really poor conditions and were basically sent there to die, not get better. So, about ten years later, I decided it was time to write a novel about D’Arcy Island; I went to the island and stayed three nights and visited the orchard they had kept and saw the foundations of the buildings that had housed them. I did about six months of research towards a historical fiction novel and sometime in the spring of 2015, June, I think, my friend sent me this article because he knew I was researching leprosy/HD, and it basically said that leprosy/HD is alive and well in the United States today in states like Texas, Florida, and Louisiana, because these states have high populations of armadillos and armadillos can transmit leprosy/Hansen’s Disease to humans and vice versa. And that, just that one line about it still being a disease in these modern times — gave me the idea to do a young adult novel set in present day about a character who is very concerned with appearances and ends up contracting Hansen’s Disease. The whole novel shot into my mind like a single, focused, beam of light after reading that short article. And the next day, or maybe a few days later, Abby started talking to me and after that, there was no shutting her up. What kind of research did you do for the novel? Well, I mentioned that I stayed on D’Arcy Island; a former lazaretto. I went to the BC Archives and saw photos of the people who had lived on D’Arcy Island as well as some old newspaper articles about it and –fascinatingly– a letter from a concerned citizen to a doctor, pleading with the doctor to let a woman friend of his go to D’Arcy Island to care for these people (they had no nurses or medical care). I also did a lot of secondary research through books and film. I read quite a few memoirs from people who had lived at Carville (the centre in Louisiana where Abby goes for treatment in the novel) and an excellent ethnography of Carville as well, which helped me get a lot of the small details right; the fact that Carville does their own Mardi Gras parade for example, and has special gold doubloons pressed for the occasion, featuring an armadillo on both sides. I liked that so I used it in the novel. I read a non-fiction book by a doctor who had worked with Hansen’s Disease sufferers in India for forty years. I read a great novel called Molokai about a young woman with Hansen’s Disease who is banished to Hawaii’s island of lepers, and the films, Molokai: The Story of Father Damien, The Motorcycle Diaries, and a handful of documentaries. I called the Hansen’s Disease Treatment Center in Baton Rouge, the same one Abby goes to, and I told them I was writing a novel about this young woman who contracts HD, etc. and was it okay if I asked a few questions. They said sure and were glad to help me. So that’s how I confirmed a few final details that I needed to know for the novel. Okay, first off the fact that I got to read a book by Jo? The highlight of my month, for real. I loved Jo’s books Ashes, Ashes. And I’ve (im)patiently been waiting for a new book from here. Blood Will Out had me all goosebumpy and wigged out and OMG. The tone of the book and the writing were very calm and deliberate which gave me a sense of foreboding dread through the whole book. Don’t think intense music, movie hero about to open the closet door on the killer tension. Think everything is calm but you still brace yourself and yet you are still caught off guard tension. And it worked so, so well for the story. This is definitely a book you don’t want to read while eating. There are some very detailed, very graphic scenes but they weren’t put in the book for shock value. They were key to the telling of this story and added a horrific layer that had me wanting to shut my eyes and read more at the same time. Other reviewers have complained that this book is promoted as “The Silence of the Lambs” for teens and they strongly think that it isn’t. After reading Blood Will Out, I can totally see the similarities in themes and drama and tension and tone. It totally had that whole creepy psychological thriller vibe. 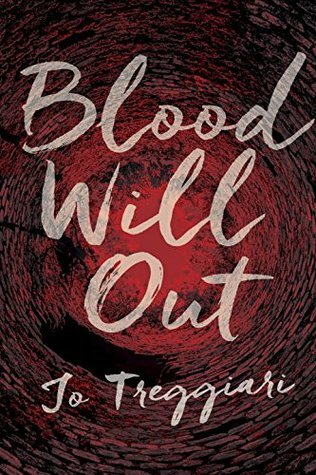 I really enjoyed Blood Will Out and it reminded me how much I like reading horror/suspense/psychological thrillers. I defintely recommend it if you want a strong, true to form thriller. Olivia Jones must make a choice. Caught between two rival supernatural forces, Liv was granted a brief period in which to make her decision. Now that time has run out. Whichever side she chooses, someone she loves will pay. Her lover, Ricky. Gabriel Walsh, the man she knows she cannot, must not love. Her parents, already trapped in prison.And now there is a new, terrifying power rising – one that doesn’t distinguish between good and evil intentions. It feeds on chaos and destroys without mercy. Unless Liv acts fast, no one will survive. In this gripping thriller, international bestselling author Kelley Armstrong brings the Cainsville series to a powerful, richly rewarding climax. Excuse me while I take a second to weep into my cozy reading blanket. I cannot believe that this series is over. 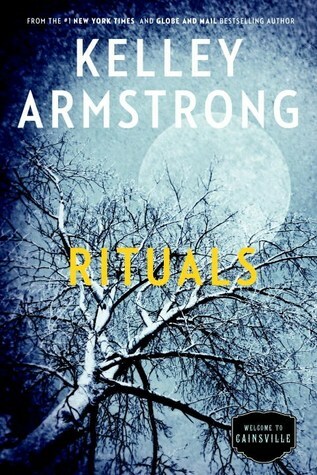 I actually considered putting off reading Rituals in a weird effort to make the series not end. I lasted all of 30 minutes before I had to dig into it. What can I say? Kelley is one of my fave authors and also one of my go-to authors. I can always rely on her to deliver an engaging, well thought out and well written book. The Cainsville series was different from her Women of the Otherworld series, delving into different aspects of the supernatural and lore, and I loved it. Rituals was a fitting ending for the series, tying up loose ends but still leaving things somewhat open, which is the kind of ending I love for a series. The pacing was spot on, speeding up when needing to and slowly down when the story called for it. There was just enough about the previous books to remind me of important plot elements but not so much rehashing that it felt repetitive. In fact, I realized about a quarter of the way through that I actually haven’t read book 4 (GASP!) and I didn’t feel lost at all. This is definitely a series that I will reread, and I cannot recommend it enough. Hildy and Paul each have their own reasons for joining the university psychology study that asks the simple question: Can love be engineered? The study consists of 36 questions, ranging from “What is your most terrible memory?” to “When did you last sing to yourself?” By the time Hildy and Paul have made it to the end of the questionnaire, they’ve laughed and cried and lied and thrown things and run away and come back and driven each other almost crazy. They’ve also each discovered the painful secret the other was trying so hard to hide. But have they fallen in love? Told in the language of modern romance—texting, Q&A, IM—and punctuated by Paul’s sketches, this clever high-concept YA is full of humor and heart. As soon as you’ve finished reading, you’ll be searching for your own stranger to ask the 36 questions. Maybe you’ll even fall in love. This book, guys. THIS. BOOK. So brilliant and funny and heart-warming and just ahhhhhhhhhhhhh. I have loved all of Vicki’s books, but this one is my fave. First I have to talk about the concept. So so cool! I love that 36 Questions is based on an actual study. It just adds another layer of realism to the story. 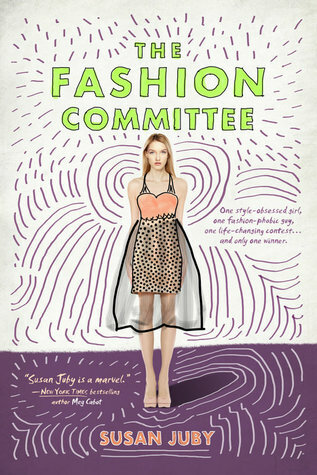 The format was very different from other YA contemp books that I have read and it just added to the story telling. I love when authors take a chance like that. Especially when it works out so well. The writing is just amazing. Most of the book is dialogue and not just any dialogue. Teen dialogue. Which can be hella hard to nail. The flow of the conversation between Hildy and Paul and the back and forth and the teasing and the flirting and the honesty is so spot on it was awkward to read at times. Like I was eavesdropping on a real conversation between two teens trying to navigate their lives while figuring each other out. 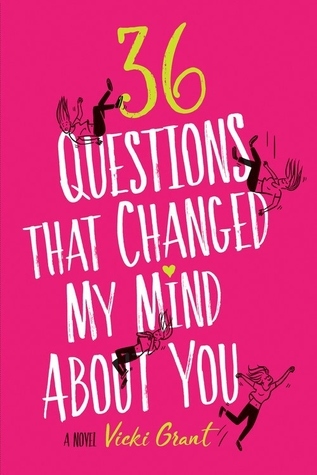 I really can’t recommend 36 Questions That Changed My Mind About You enough. I know a couple of people who will be getting this book as a Christmas gift. When a young woman named Catherine Reindeer vanishes without a trace from her small town, those who know her are left to cope with her absence. Moving back and forth from her outer circle of acquaintances to her closest intimates, Rebecca Rosenblum’s first novel reveals how the lives of those left behind can be overturned in the wake of an unexplained disappearance. But at the heart of the novel is Catherine’s own surprising story of resilience and recovery. When a final devastating loss after months of captivity forces her to make a bold decision, she is unprepared for everything that follows her dramatic escape. Woven throughout are stories about a local female poet who was murdered decades earlier, a woman whose life and work become a lifeline for Catherine during her darkest hours—and who may ultimately hold the key to Catherine’s quest to find solace in the aftermath of unimaginable tragedy. 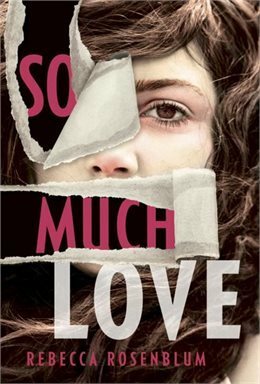 So Much Love is a haunting novel of longing and loss, the necessity of bearing witness, and how the stories we tell have the power to shape our lives. This mystery was different from any other mystery I have ever read. The multiple POV and story of two different tragedies, for another author, would be too much and too confusing. But Rosenblum handles both elements and presents a book that is deeply tragic but also, at times, uplifting. And it never feels too busy or over done. There are some scenes in this book that were difficult to read because of their subject matter and the rawness in the telling. But it’s these scenes that actually give the book the depth that it has. Besides being a stellar mystery, So Much Love is also a character study on how different people deal with tragedy. So Much Love is a very difficult book to describe due to its uniqueness. All I can say is this is definitely one you will want to read. Julie Prentice and her family move across the country to the idyllic Mount Adams district of Cincinnati, hoping to evade the stalker who’s been terrorizing them ever since the publication of her bestselling novel, The Murder Game. Since Julie doesn’t know anyone in her new town, when she meets her neighbor John Dunbar, their instant connection brings measured hope for a new beginning. But she never imagines that a simple, benign conversation with him could set her life spinning so far off course. After a series of misunderstandings, Julie and her family become the target of increasingly unsettling harassment. Has Julie’s stalker found her, or are her neighbors out to get her, too? As tension in the neighborhood rises, new friends turn into enemies, and the results are deadly. McKenzie is one of my fave authors and I have loved ALL of her books. Smart chick-lit with believable characters and plots that may seem somewhat extraordinary at first glance but that she writes with such heart and honestly that they are 100% believable. Fracture is a mystery and a departure from her usual genre, but she writes it with her usual approachable style. Some authors aren’t successful in genre-jumping, but this isn’t the case here at all. Fracture is a well written, well thought out mystery that I absolutely devoured. These days I’m all about what I call “flash back” mysteries. You know, the ones where the book isn’t told in a linear fashion. We get a glimpse of something that’s happened and then we get some background on what lead up to it. We’re in the dark about what exactly took place, what the trigger event is, until close to the end. And there’s usually a WTF twist. I have been OBSESSED with this kind of mystery lately. Fracture does this brilliantly. For me, it’s the perfect example of this type of story telling. And writing this type of book isn’t easy. McKenzie kept me interested and wondering what the heck was going on without leaving me so confused I was frustrated. I am always in awe of authors who can do this. I’m also a big fan of the unreliable narrator. This is a dual narrated book and although both narrators are dealing with the same story, their telling isn’t quite the same. I think that this kind of narrator is so true to real life. And it makes the puzzle of the story even more challenging to figure out. 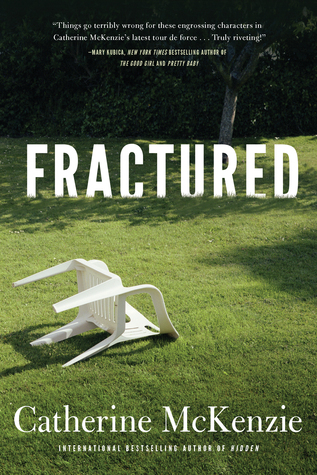 If you are a fan of authors like Ruth Ware and Paula Hawkins, then you will definitely love Fractured. What if one contest could change the course of your entire life? Charlie Dean is a style-obsessed girl who eats, sleeps, and breathes fashion. John Thomas-Smith is a boy who forges metal sculptures in his garage and couldn’t care less about clothes. Both are gunning for a scholarship to the private art high school that could make all their dreams come true. And whoever wins the fashion competition will win the scholarship. Susan Juby is one of those authors that I can always count on to deliver an engaging and amazing and awesome book. She has a way of dealing with serious issues with laughter and an honesty that can be brutal. She is also hands down one of the best writers of misfits and odd characters. OMG these were interesting characters. And you know what? *SPOILER* They don’t fall in love!!!!!!! This is SOOOO refreshing and unexpected for the genre. The format of the book is diary entries, and I just loved that. And Juby writes both Charlie Dean and John so differently. Both had very distinct voices and sometimes that’s hard to do. Charlie Dean is such an optimist and the way she writes about some of the crap in her life so matter-of-factly is heartbreaking. She reminds me a lot of Rachel from Glee in season one. That whole the show must go on and I am always awesome attitude. John, on the other hand, is a bit of a pessimist despite the fact that his life is pretty good. The contrast between their attitudes and situations in life is my favorite part of the book. This was a pretty unique book for the genre and I think everyone will enjoy it.